Come by and have a look around our new showroom in Bury St Edmunds. Located in 2 – 3 Guildhall Street, we are conveniently reached from the town centre. We have a range of setups available to look around to illustrate what is possible with our design and installation services. 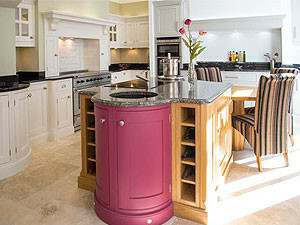 We offer kitchen design, bathroom design, bedroom design and study design services in Bury St Edmunds, Suffolk area. Contact us to find out more.